For nearly 100 years, as the Equal Right Amendment has been languishing in New York State’s legislative body, it’s become a history lesson for many students. It’s a case study in how things that have so much broad support could be stonewalled for decades because of legal technicalities. There is such a long and complicated history of law in the United States that there’s much you might not even know. Here are just five major examples of unseen legal history in the country. While you might have expected women to make history in big coastal cities as is usually the case. However, the first woman admitted to the bar got her start in Iowa. Arabella Mansfield became a lawyer only after suing the State Bar of Iowa just to have the chance to sit down and take the exam. This was seen as a place for men only, whether or not there was a stated law. They blocked her until she finally passed the bar exam and got admitted in 1869. While men were once the only people allowed to take up space in law schools and law offices, women started to take their rightful place. As more women made their place in teaching and studying law visible to others, it spread across the country. As many men ended up fighting in the civil war, the presence of women in law exploded during this era. Danya Hamad made history when just a few years ago she became the youngest lawyer currently practicing in the country. This 15-year old girl ended up becoming the youngest lawyer in the United States. She was ousted as the youngest graduate of her school in 2018 by her equally prodigious brother. Danya got into law because she wanted to change the world. With her work, she inspired millions of young people to achieve their goals. However, she wasn’t the youngest lawyer ever to practice in the country. It turns out that in 1986, Stephen Baccus become a Miami Law graduate who ended up becoming the youngest person ever to practice. Upon graduating from Capital, Danya Hamad will be the youngest person practicing law in the country. Upon looking at the figures for incarceration rates across the country, it’s clear that there are some serious disparities in how the law is practiced. Some states are considered more reasonable and fair while others tend not to be. As more progressive policies define the difference between offenses that should be considered criminal and which should not, states move at different paces. Medical marijuana is one of the most visible examples. As states make it medicinally available, they tend to move toward recreational legality and even expunging records for arrest over time. However, drive a few hours in the wrong direction and what is perfectly legal in one state is an offense that can result in an arrest in another. Rather than leaving it up to elected officials and representatives, it’s up to individuals to follow the laws from state to state. 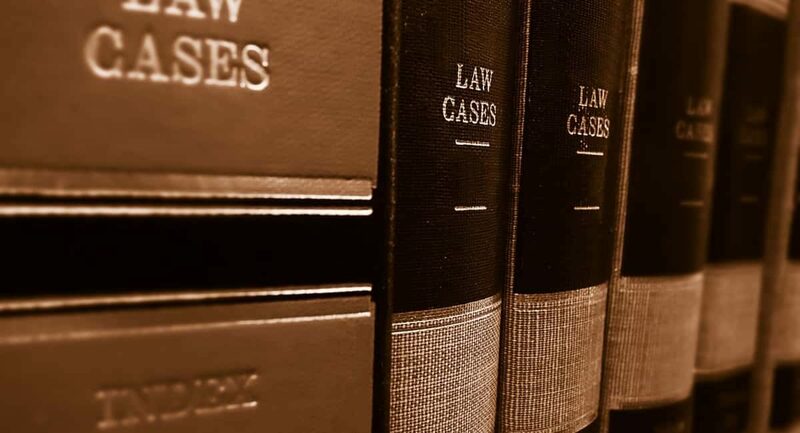 With everything from a civil rights case to a personal injury case, it’s there are sets of laws governing differently from state to state. The states that are considered most reasonable and fair are South Dakota, Vermont, Idaho, New Hampshire, and Minnesota. It turns out their assessment of the least fair states have led us to consider Florida, California, Illinois, Missouri, and Louisiana. Across the country, lawyers earn very different salaries that depend on where they live. As the cost of living and the demand differs between each place, there are going to be different rates that each type of lawyer is going to get paid. If you’re an intellectual property lawyer in rural Idaho, you’ll earn much less than you would if you worked in Silicon Valley or in New York City. Top attorneys across the country are able to charge $1,500 an hour for their time while many others struggle to find clients. One of the biggest factors in cost is going to be where someone is located, how big the market is, and the cost of living in that place. California, Washington, D.C., and New York are where attorneys make more than $150,000 a year. However, if you go out to Montana, you’re going to find that lawyers are making much less, closer to around $80,000 a year. Even within states, hourly rates can vary vastly. In cities like Phoenix, you could be getting around $65 an hour for your services. However, across the state of Arizona, you’re going to make less than $50 per hour. Historically, lawyers have made up a huge majority of people who are elected to office. When most people guess the profession of a politician, they typically think that the person is a lawyer or has some experience in law. While things might have changed, they stay the same in a lot of ways. In the middle of the 1800s, walking through the halls of Congress, you’d bump into lawyer after lawyer. Given we were in the midst of writing and legislating our first sets of laws, it’s important to have a lawyer to guide us. However, in the last hundred years, we’ve devoted our efforts to ensure that laws are fair and that the people who are impacted by laws are protected. Where lawyers once figured as 80% of Congress, they now make up less than 40% of members of Congress. While we don’t know exactly the impact that has had on lawmaking, there are going to be some inevitable impacts. Having people in Congress who come from all walks of life ensures that a broad swath of perspectives is considered at all times. If you’re looking at the history of law, you’ll see lots of surprising facts and figures. From the history of criminal law to the history of immigration law, there are barriers being broken constantly. To see how four women made history in UK law, check out our guide to how.